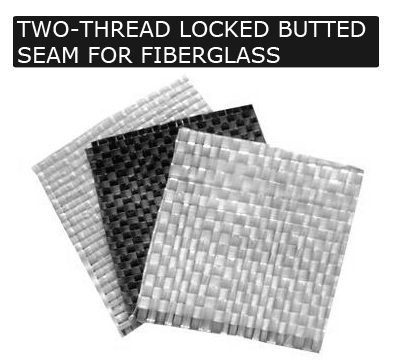 With superior fabric handling the 72 Class machines have become a favorite for joining low count, loose weave materials like fiberglass. 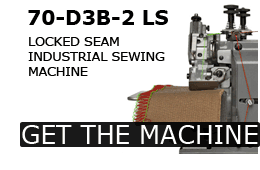 The 72-D3B-2 R Series ROLLS THE MATERIAL as it sews, creating a strong and secure seam. 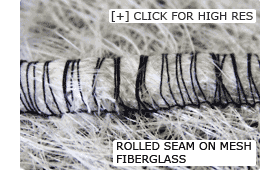 The machine is especially useful for joining various weights of fiberglass mesh end-to-end and is the perfect alternative for materials that cannot be joined using a traditional butted seam. 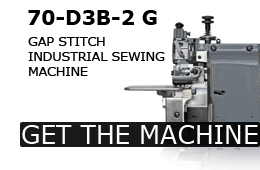 The 72-D3B-2 is designed with a special feed system to handle difficult material and incorporates six rows of feed dogs, forward mounted cutters, and an oversized presser foot and work plate. 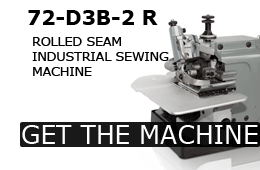 In combination with the rolling mechanism, this configuration allows the 72-D3B-2 R to roll material while wrapping the thread around it, creating a seam that will not separate or pull apart. 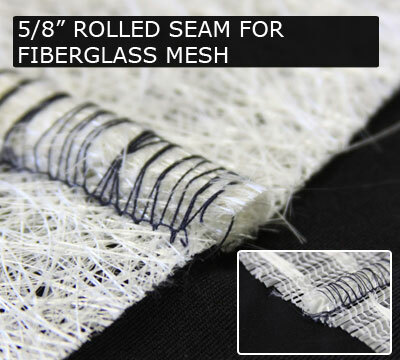 Merrow's rolled butted seam is the ideal way to join low count fiberglass meshes and weaves end-to-end. 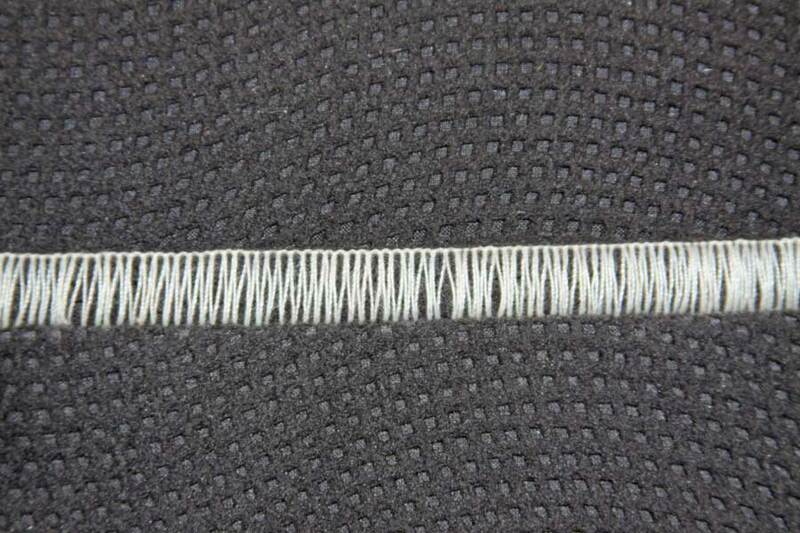 Because the stitch takes up nearly 3/4" of material, the seam will not pull apart or separate when being processed. 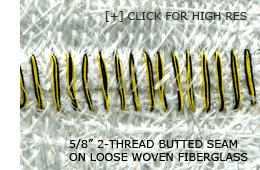 Merrow's Locked Butted Seam is a flat, permanent stitch that is strong yet malleable. It was created for applications that involve heavy processing or for material that must be joined more securely while still allowing for flex. 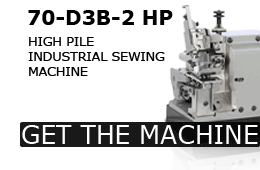 The Merrow 70-D3B-2 HP is an industrial sewing machine that has been engineered to sew high pile material. 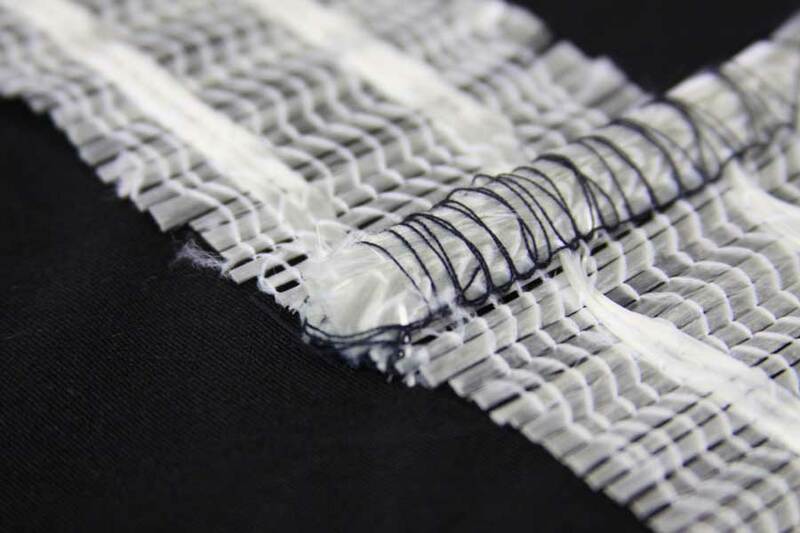 It has extra clearance at the work surface to allow thick material to flow freely through the feed system, and modified cutters and loopers for sewing specialty fabrics. 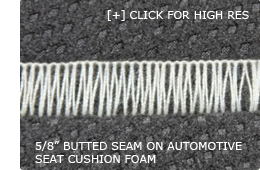 It sews at 2250 RPM and applies a standard 5/8" wide stitch. 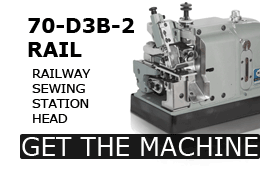 The 70-D3B-2 HP can be table mounted, but it is most frequently paired to a railway sewing system to ensure consistent movement of material across the work surface. 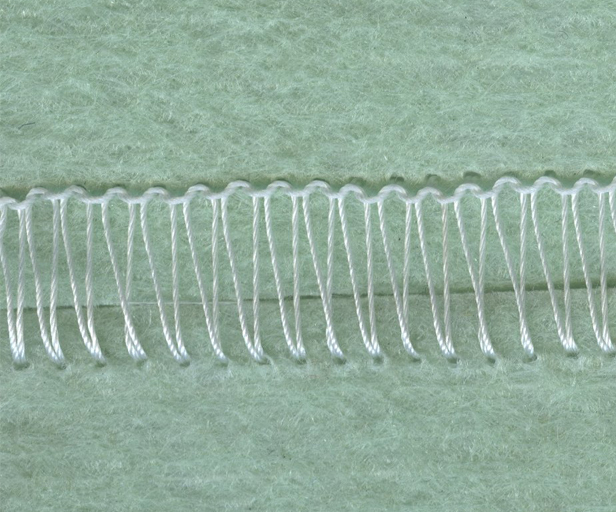 The 70-D3B-2 HP is best when sewing material between, 1/4" and 1/2" thick, but will sew material up to 2" thick at slower speeds. 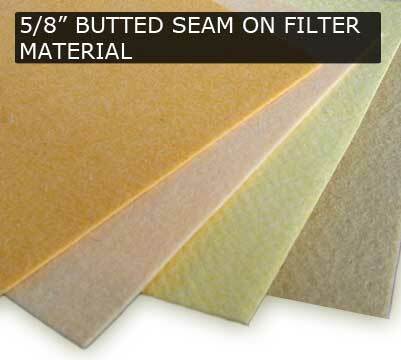 Merrow's butted seam for filter material was created for tough, abrasive material. 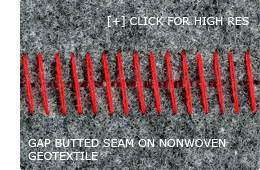 It is a flat 5/8" stitch that is applied using a Merrow machine that has been specifially configured to accept thicker material. 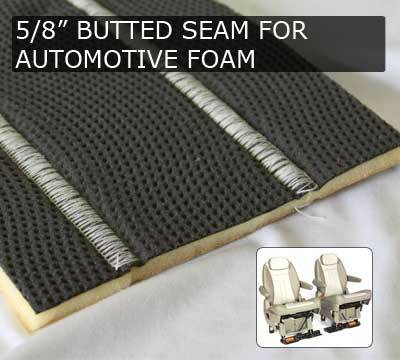 Merrow's butted seam for seat cushion material is a flat 5/8", single thread stitch that sews foam cushioning up to 1" thick. 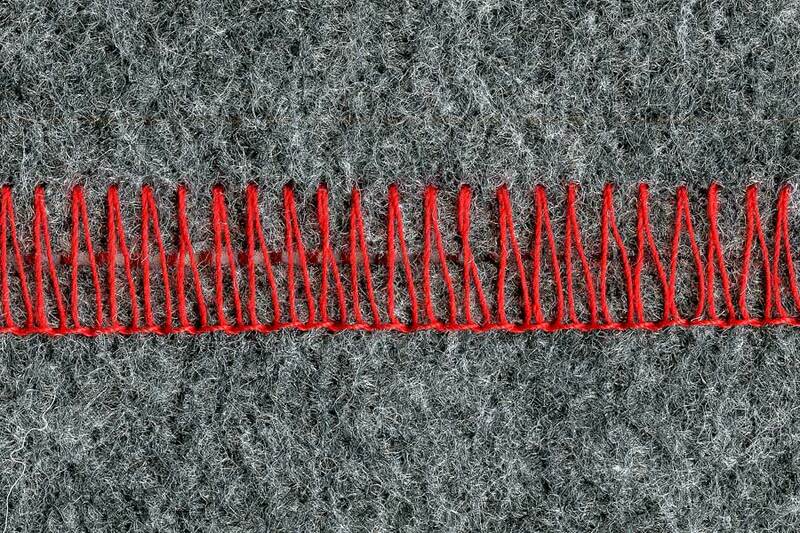 The stitch allows the material ends to but cleanly without bunching or lapping. 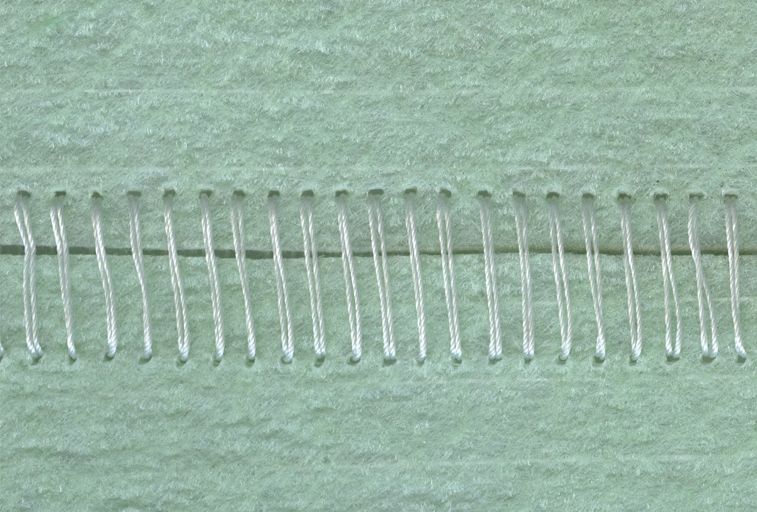 The Merrow 70-D3B-2 G sews a gap between the ends of joined wovens and non-wovens. 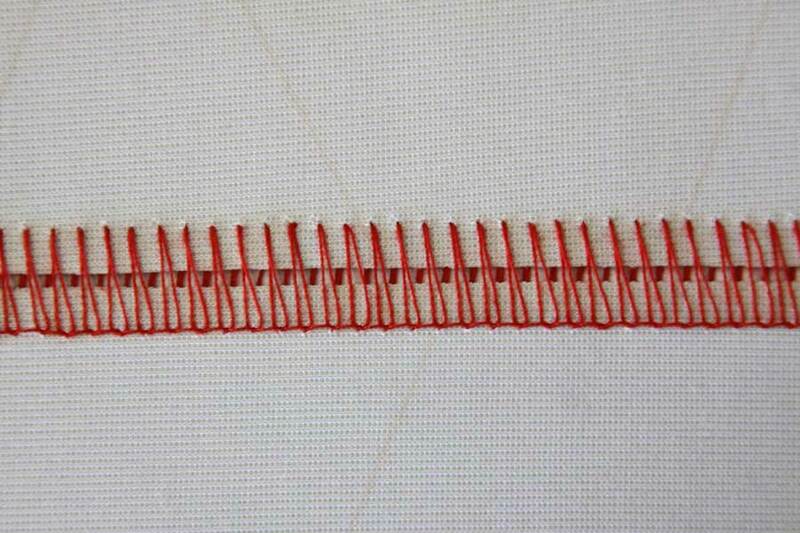 It applies a 5/8" removable stitch that leaves a 1/8" separation between butted ends of material, to alleviate bunching and/or lapping of thicker material. Initially designed for this purpose, the 70-D3B-2 G is also used in applications that require a space at the seam for detection by automated optical equipment. 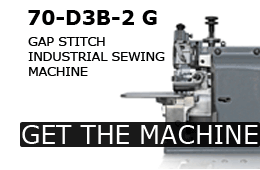 The 70-D3B-2 G is Merrow's best selling industrial butted seam sewing machine, and is used in continuous processes all over the world. Table or railway mountable, the 70-D3B-2 can be nickel plated for use in wet environments and is fully configurable to match any number of applications, processes, or environments. 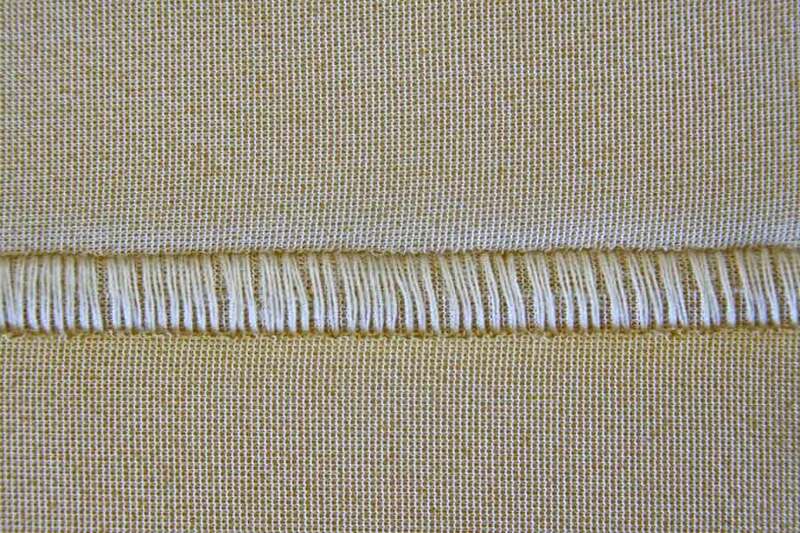 The Gap Butted Seam sews a 1/8" gap between the joined ends of material. 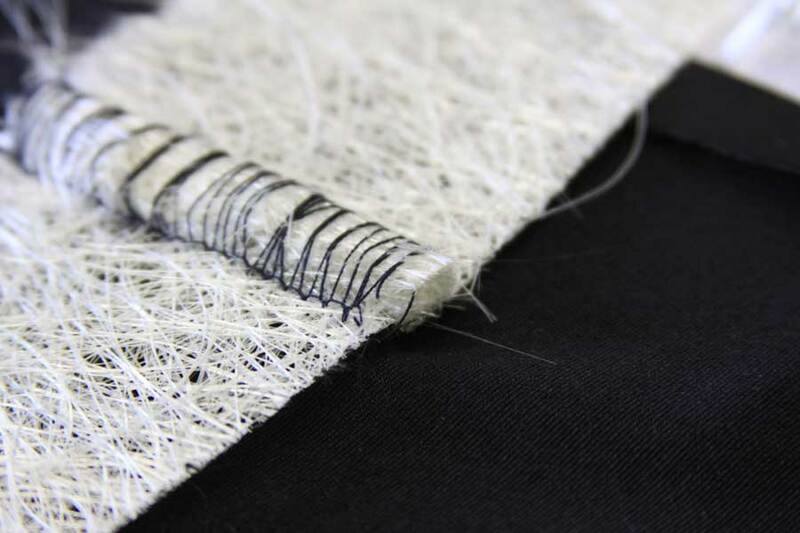 For thicker materials (1/16" or thicker), the extra space allows the seam to lay flat and prevents bunching and/or lapping. 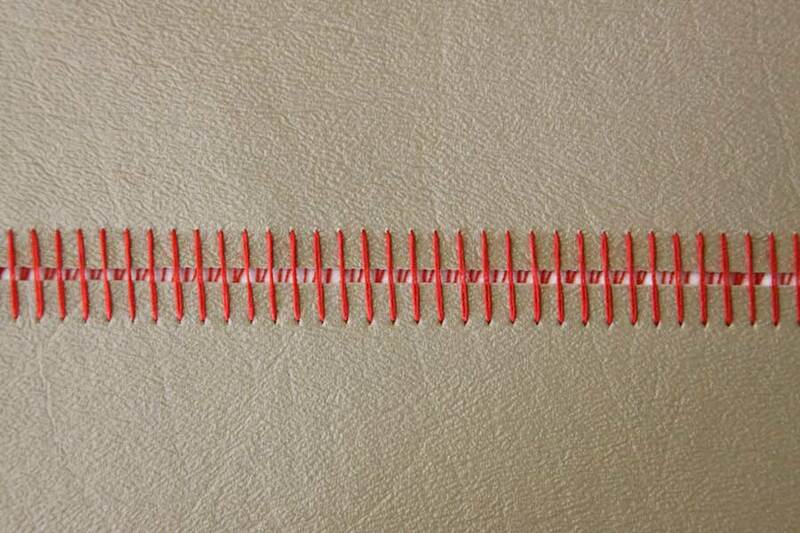 The Merrow 70-D3B-2 RAIL is a version of the standard 70-D3B-2 that has been configured for mounting on a railway sewing station. 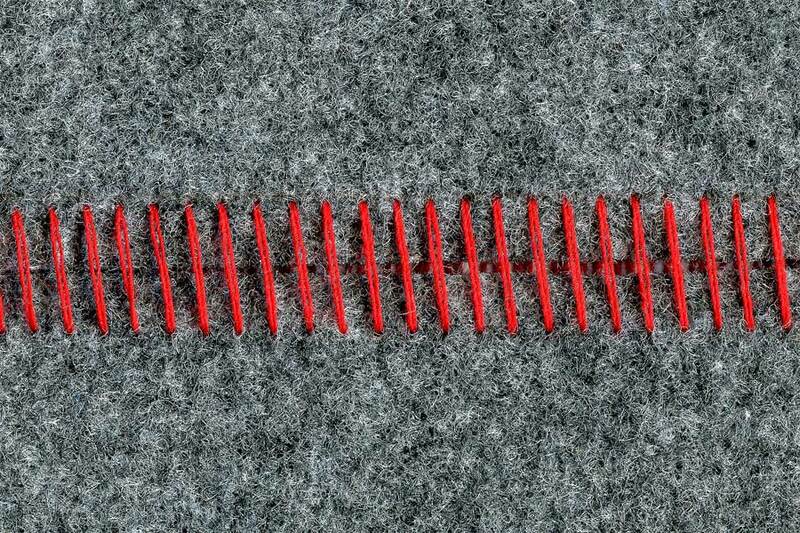 It can be mounted on any American or European railway system and is used to seam fabric that requires a wide capacity sewing system. 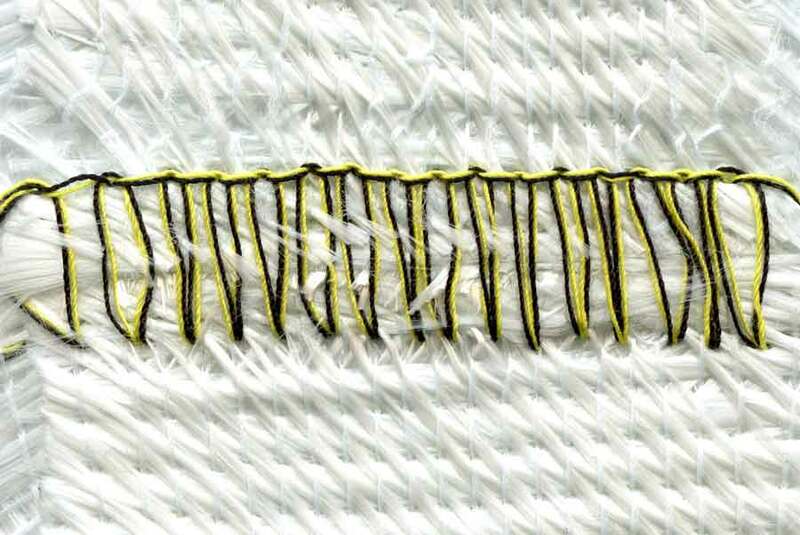 Railway sewing systems push the sewing head across the fabric rather than pulling it through a feed system, which ensures that seams are square and straight and that waste is reduced. The 70-D3B-2 RAIL is nearly identical to the standard 70-D3B-2, but has been modified for pro-active feeding on a rail. 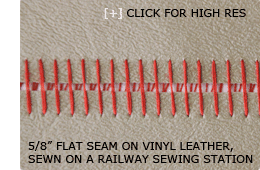 As such, it shares the same reputation for quality, durability, and servicability as the the 70-D3B-2 and is the sewing head most recommended for Birch, Monti-Mac, Pugi, and Schweizer railway sewing systems. 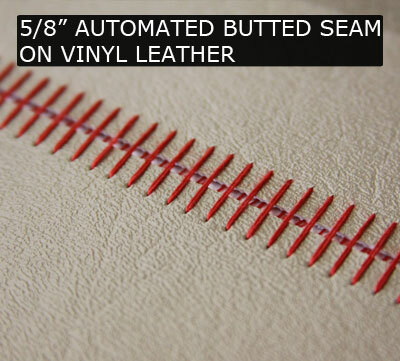 The Automated Butted Seam is sewn by a railway mounted 70-D3B-2 RAIL and is used when straight seams are required on long lengths of material. roofing application required. 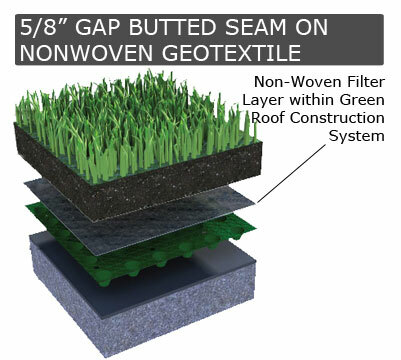 For the Green Roof application, the "Gap" setup proved exceptionally useful since it can sew material with varying thickness - perfect for a construction system that has many layers with different material properties. 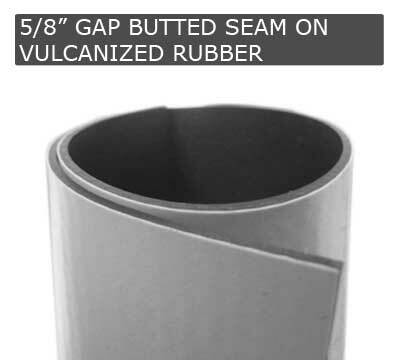 The "Gap" is built on Merrow's renowned 70-Class platform, which has over 50 years of proven durability and reliability in the field. 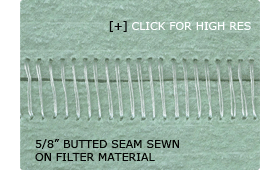 Merrow's Gap Butted-Seam is ideal for slightly thicker fabric. 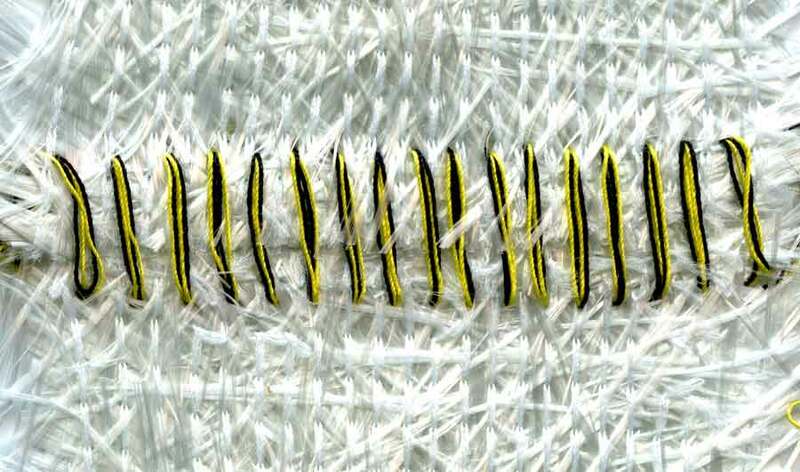 The "gap" in the stitch ensures that material will lay flat within the seam and the extra space prevents it from bunching or lapping on top of itself. 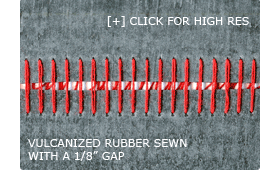 The Gap Butted-Seam is Merrow's most popular and versatile 70-Class setup.